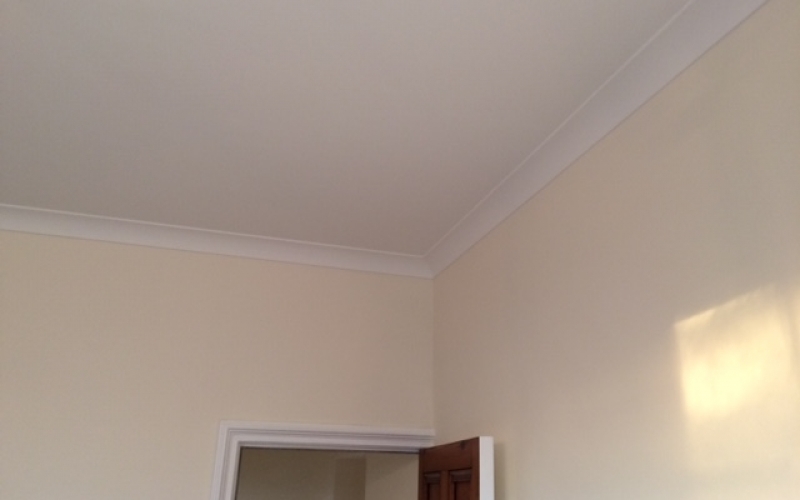 RDP Interior Contractors were contacted to come up with a solution to reduce the impact noise from the flat above. Being of a very old construction type which had then been converted into flats at some stage during the 1950's, The character of the building was to not be effected as far as possible with a view if anyone wanted to return the room to how it was, it would take minimal efforts. Our client had lived in the property for many years, although as the children in the property above got older, the impact noise transfer got more sever. RDP Interior Contractors worked closely with the client to understand what noise was most audible and where the main areas of concern where, this allowed for the correct system to be selected and quoted. As the property was of an older style, it boasted overly high ceilings which allowed the acoustic ceiling to be installed under the original feature cornice. Upon commencing this project, all floors of work areas and access areas where covered protecting the carpets of the property. The outcome - A huge reduction in both impact and airborne noise from the flat above. 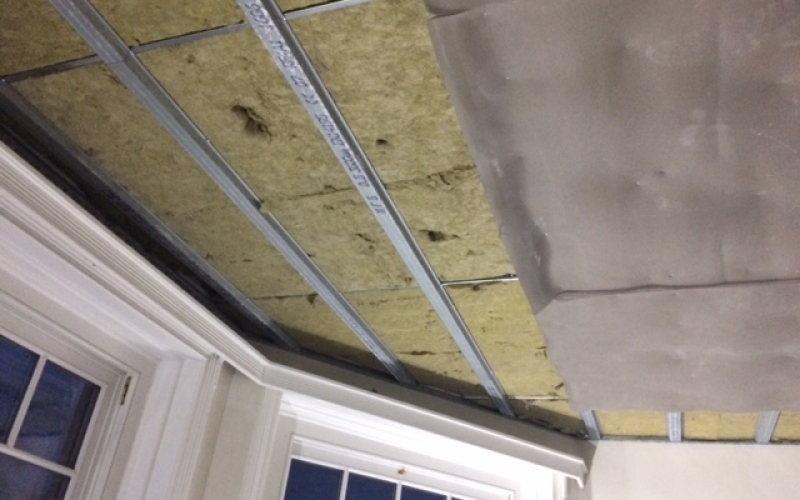 "I contacted RDP as I was in need of expert guidance for sound insulation between my flat and the flat above. Their response time to my email was almost immediate, and a survey visit was easily arranged, detailed quote provided and date scheduling without any issues. 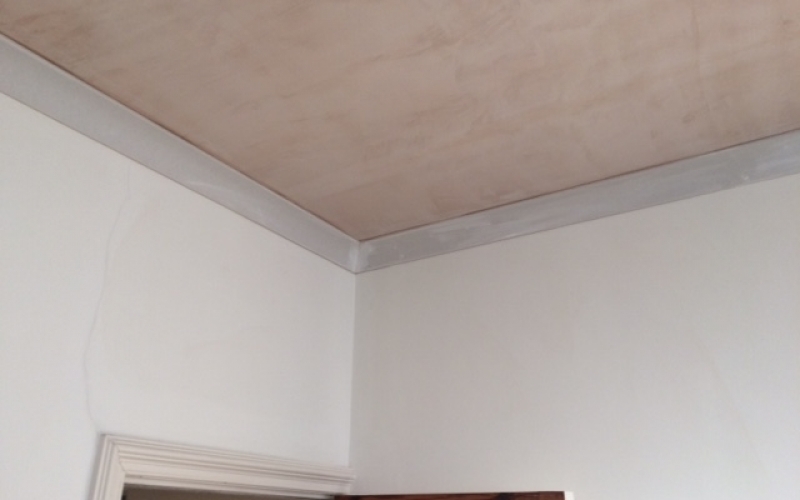 Ceiling and plaster work always creates dust, but the guys were brilliant in trying to minimise the impact and cleaned up at the end of each day. Their attention to detail and care taken was excellent, you wouldn't know that they had been working here, and the sound from above is greatly reduced. I would highly recommend them. - R.Clark"